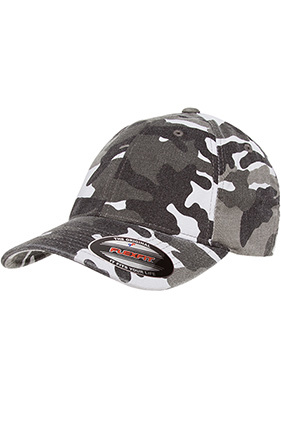 98% cotton/2% spandex garment-washed twill fitted camo cap. Soft-structured, low-profile. Six-panel, 3¼" crown. Permacurv® visor. Sizes: S/M: 6¾" - 7¼", L/XL: 7?" - 7?"